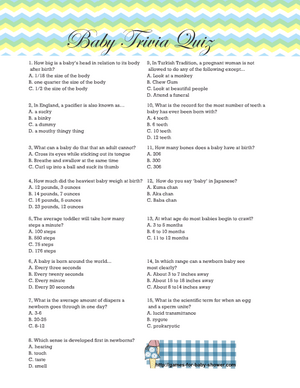 On this page I am sharing Free Printable Baby Shower Trivia Quiz in three different colors. 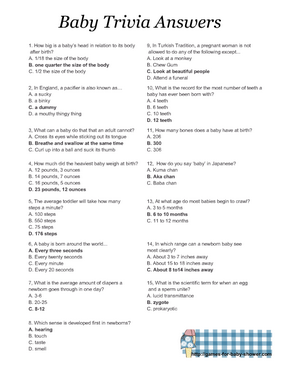 Each game sheet has 15 baby and pregnancy related trivia questions that your guests should answer. I am also sharing an answer key to this trivia quiz at the end of this page. How to Play: Print and distribute the baby shower Trivia Quiz Cards among the guests. Ask the guests to circle the correct answer to each question. Check the answers by using the answer key given at the end of this page. The person with most correct answers will be the winner. 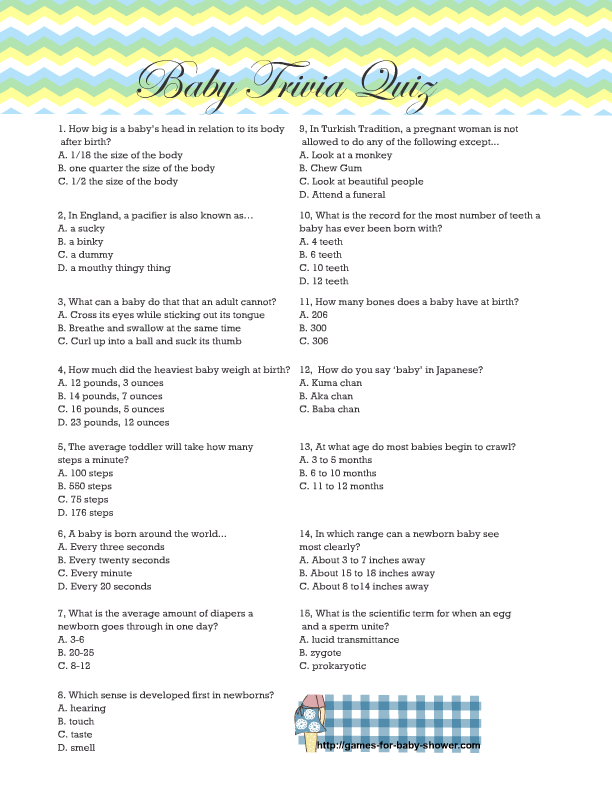 This free printable baby shower trivia quiz game sheet is decorated with a blue, green and yellow chevron pattern. Just click on the thumbnail image and then right click and save the bigger image. 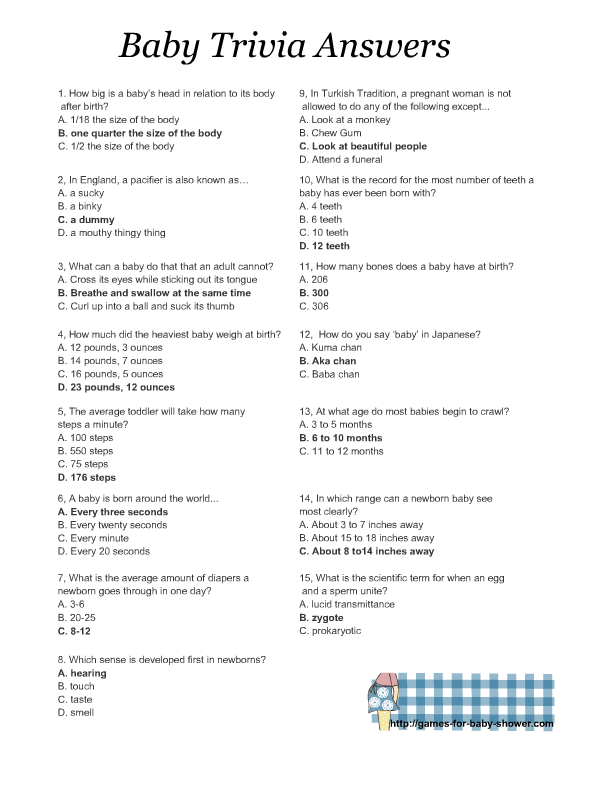 This is another beautiful game sheet for this Free Printable Baby Shower Trivia Quiz. This game card is decorated witha pink, yellow and white chevron pattern. This game design is perfect for your girl baby shower. Just click on the thumbnail and then save the bigger image to your cellphone, tablet or PC. This is the last but very beautiful color combination for this baby shower trivia quiz. This game card is decorated with a chevron pattern of gender neutral colors. Here is a free printable answer key to this baby trivia game. You will only need just one copy of this answer key. You can also save it in your mobile or tablet to check the answers given by the guests.